Another Top Ten for Team Angling & Outdoor World at LBT Fourth Round. 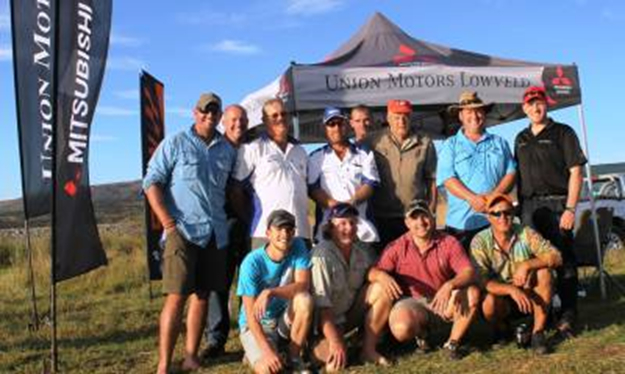 The fourth round of the 2014 Lowveld Bass Trail was held at Kwena Dam on Saturday 10 May. 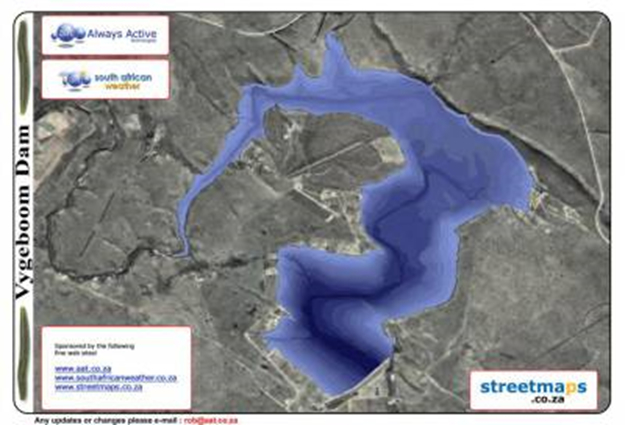 Kwena Dam is a combined gravity and arch type dam on the Crocodile River near Lydenburg, Mpumalanga. The dam is three decades old (established in 1984), has a catchment area of 954 square kilometers, and it serves mainly for drinking water and irrigation purposes. The attendance record for the 2014 LBT season was equaled at Kwena Dam, with thirty six boats competing. With winter approaching, and Lydenburg being a rather chilly part of Mpumalanga, having that many boats attending is a feather in the hat of the organisers, as well as the participants of the tournament. On top of the usual faces, there were also a few new teams taking part which is always a good sign half way through a series. Fortunately, the weather was merciful and the customary Kwena wind was nowhere to be seen. As a matter of fact, the anglers experienced a magnificent autumn day on the water. The top ten teams’ bags were particularly close, with one fish of one kilo plus separating teams in the top five from the rest of the top ten. A measly five hundred grams separated tenth and fifth! A big “good for you” is due to the winners, and a massive thank you to the dependable sponsors of the trail who continue to make the LBT a gigantic success. Above: What’s better than a day on the lake with the possibility of winning some cold, hard cash? Above: Team Brayshaw Filtration, the winners for the day, with a 5-fish-limit of 11 pounds. 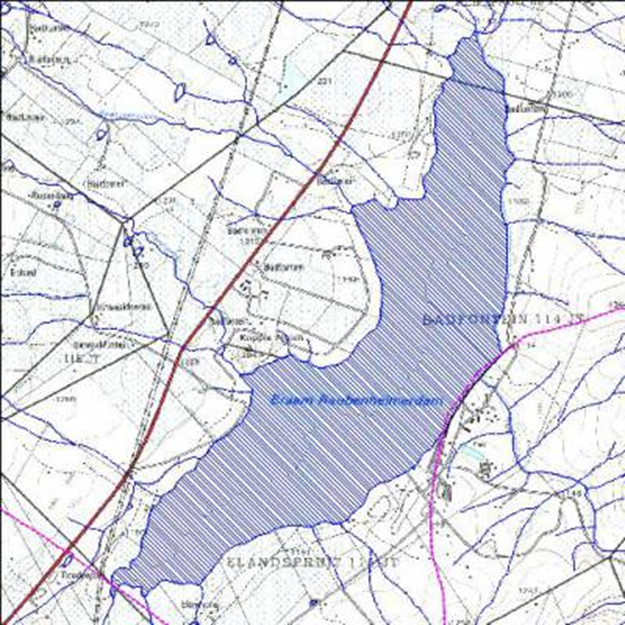 Being a somewhat testing dam, the twelve and a half hectare surface area can be fairly intimidating to anglers attempting to find fish on a dam they have little to no experience on, made plain by the fact that only 33% of the contending teams managed to weigh a five bass limit. However, the fish that were caught were respectable size. In fact, the average size of the 92 bass brought to the scales was the best of the season so far at 0.674kg, surpassing even the likes of Injaka Dam! The biggest bass of the day was boated by overall winners, Team Brayshaw Filtration, and weighed a hefty 2.38kg. 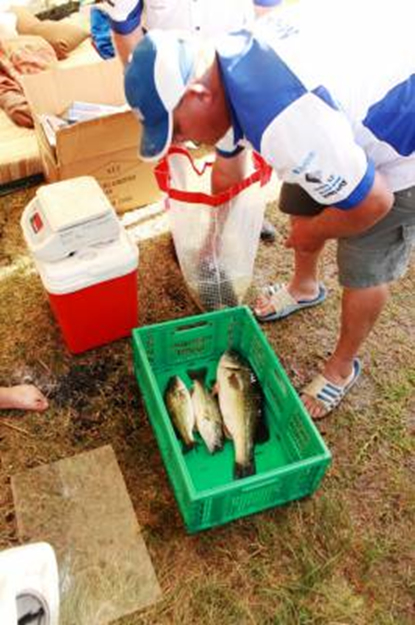 Above: Hermanus Snyman getting their bass ready for the scale. Everyone fishing the trail, and anyone following the proceedings closely will note that there were big changes on the overall log. Just take into consideration that although there are eight events during the season, only the best six competitions for each team will count towards the final log that will determine the fifteen boats taking part in the final. That means, if you have fished all eight legs, your worst two results will fall away, which I’m sure will leave us with quite a few surprises on the final log. Above: Always of utmost importance: making sure the bass are released alive! 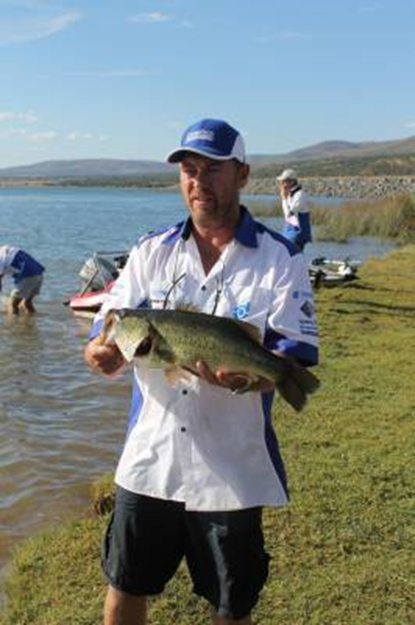 Team Angling & Outdoor World, fishing off of a Nitro bass boat powered by a Suzuki DF200, has had a relatively good start to the 2014 Lowveld Bass Trail season. 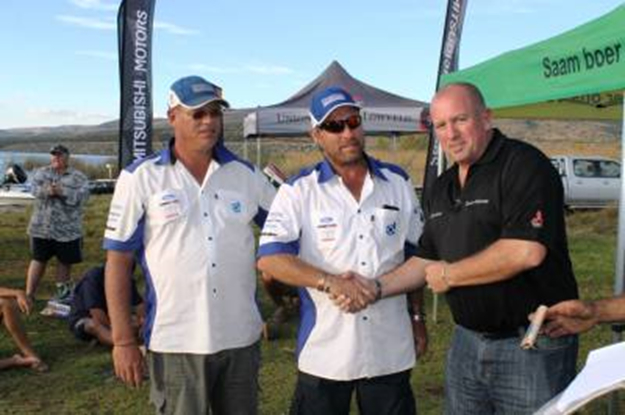 To recap, the team based in Nelspruit, have fished all four events to date, finishing in the top ten three times with a best result of third at Driekoppies Dam in April. They currently occupy ninth place on the log out of fifty four competing teams. The sixteen bass they’ve weighed total 8.3kg at an average of 0.519kg per fish, and their total 2014 LBT earnings (including merchandise bonus) totals around the three thousand Rand mark. Above: The top 5 placed teams at Kwena Dam. Above: Vygeboom Dam. The venue for the next round of the LBT. The next leg of the LBT will take place at Vygeboom Dam on Saturday 14 June 2014, and proceedings for the day will once again take place at Machado Club. Fishing will commence at 7am sharp (an hour later than usual due to the fact that it’s still winter), with the captain’s meeting taking place at 6:45am during which the rules will be discussed and tag numbers will be drawn. 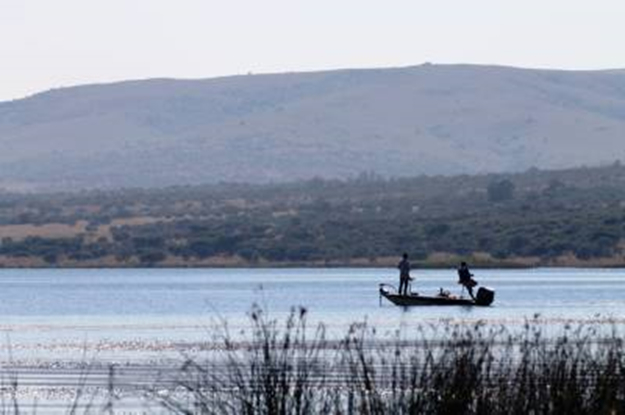 Anyone planning to fish the Vygeboom leg must take note that the public launch pad at the dam is not operational, and for this reason the launches at Machado Club will be used at a rate of R100 per boat. This compulsory R100 is payable upon registration along with your R400 entry into the competition. The committee of the LBT will then pay the money over to Machado Club. In the past, the LBT committee has allowed teams to pay such monies over personally, but because of problems at previous competitions, this will no longer be permitted. Even if you plan on launching somewhere else, you will still be liable to pay the extra R100 for the day as everyone will be making use of the facilities during registration and prize giving. If anyone would like overnight accommodation at the venue, please contact Johan van der Spuy of Team Boeta regarding available facilities and costs. He can be contacted on 0715229390. On a final note, the Maguga Challenge will be taking place from the 4th to the 6th of July 2014. It really is a big competition with prizes for the fifteen biggest bass caught on the Saturday and Sunday. 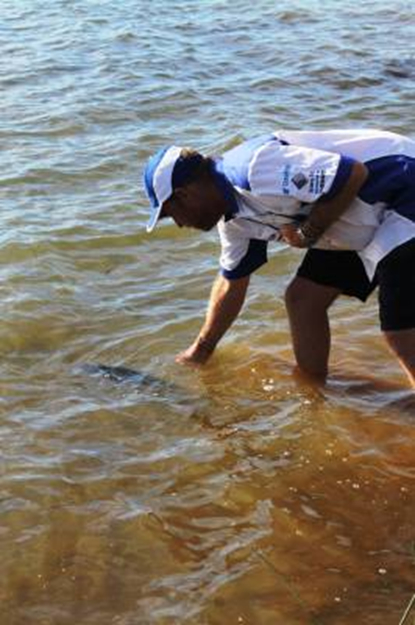 The competition rules allow more than two anglers per team (four maximum) which helps a lot with costs. If you would like an entry form, contact me at info@anglingandoutdoor.co.za and I will gladly forward one to you. Bookings for accommodation can be done directly with Maguga Lodge. Just let them know you are taking part in the competition or you won’t get place as they’ve done a block booking for the event. There are already a few boats from the Nelspruit area taking part and it would be great to have a few more of the LBT regulars there as well. Don’t forget, all weather is fishing weather! It’s another LBT win for Team Bullet.